Mayor Sadiq Khan has pledged to make London the world’s greenest city by 2050. Historically, the bulk of the discussion around environmental sustainability has been centered around environmental policies and household level activities. However, in recent years, there has been an increasing awareness and adoption of the concept of corporate social responsibility (CSR), with companies implementing social and environmentally-friendly practices. We’ve pulled together some easy ways you can make your office more sustainable to reduce your office carbon footprint, making more pleasant and eco-friendly environments for your colleagues – and helping London reach its target of becoming the greenest city by 2050. Corporate social responsibility is a catch-all term to describe the concept of companies conducting their business in a way that is ethical. It encompasses social, economic, and environmental impact, as well as considering human rights, and can range from partnering with local communities to help the disadvantaged, to offsetting carbon emissions. For example, Unilever – one of the largest consumer goods businesses in the world – boasts its Sustainable Living Plan, through which it aims to “decouple [their] environmental footprint from our growth and increasing our positive social impact”. The plan does this by outlining targets on halving the company’s environmental footprint by 2030, through reductions in greenhouse gas emissions, waste production, water usage, and sustainably sourcing all their raw materials. In the 1970s, economist Milton Friedman authored an article for the New York Times entitled “ The social responsibility of business is to increase its profits.” Indeed, at the time, this was the widespread thinking – that the only thing that mattered at the end of the day was the return a company could give to its shareholders. However, a lot has changed in the almost-50 years since the publication of that article. Today, the largest consumer group is a wildly different demographic than it was in the 1970s. The millennial is the ultimate skeptic, fully thrust into the information age from birth, filtering through inconceivable amounts of data and information on a daily basis. Engaging in this kind of practice would naturally make you curious and suspicious of information as it comes flying at you. As this translates to engagement with businesses and brands, millennials are much more likely to question a company’s true motive and values, before weighing this up in deciding whether to purchase their products or not. According to a 2015 Cone Communications Millennial CSR Study, “More than 9 in 10 millennials would switch brands to one associated with a cause,” and millennials are “prepared to make personal sacrifices to make an impact on issues they care about, whether that is paying more for a product, sharing products rather than buying, or taking a pay cut to work for a responsible company.” The result? Increased brand recognition, brand loyalty, which ultimately translate into higher sales. There are several things you can do to reduce your carbon footprint as a business, and the working world is rife with examples. For instance, in light of the data coming out surrounding the detrimental effect livestock farming and meat consumption can have on both the environment and our health, WeWork recently banned meat in their buildings, and have stopped allowing their users to expense meals containing meat. 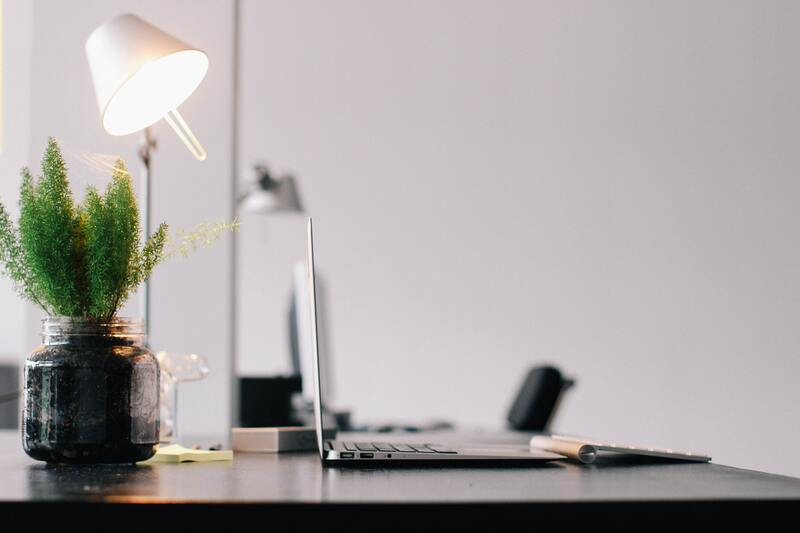 An increasingly popular workplace policy, flexible working, or working remotely, has several benefits to employee, company, and the environment. Allowing your employees to work from home not only reduces strain on public transport (which as we all know, is not the most pleasant place to find yourself during rush hour), it also means less energy and fewer resources will be consumed in the workplace. Plus, employees reported higher productivity, satisfaction, and wellbeing as a result of flexible working. Win-win! Do your research before buying supplies. There are so many companies out there offering similar products, you might as well choose the brand committed to green policies and sustainable production practices. Not only does this add authenticity to your own branding and efforts to improve sustainability at work, but it also creates a community of like-minded companies supporting one another, which is always a nice thing. For example, next time you need to do a bulk stationary order, go to The Green Office – a company committed to protecting the environment through providing stationary made of recycled materials. If you think about it, there is no good reason why plastic bottles or disposable coffee cups should be regularly used in your office. Did you know that the average office worker goes through 500 disposable coffee cups per year? Invest in some branded reusable coffee cups and metal water bottles for your staff that they can reuse for years to come. Aladdin is a great bottles company committed to sustainability, focused on using only recycled and recyclable materials in their products. They’ve also reduced their emissions and waste by 54% since 2009. It’s really worth the investment – your employees will become your brand ambassadors at their meetings, at their gym, and at their local coffee house! It is estimated that 70% of a business’s landfill waste can be recycled. We know that recycling behaviour is primarily influenced by convenience for the user, so make it as easy as possible for our office to recycle, and they will. Invest in a few coloured bins for paper, plastic, cardboard, and food waste, and watch your landfill waste disappear. Investing in renewables is a no-brainer for SMEs. As well as saving half a ton of greenhouse gas emissions per year for each kWh generated, you’re also getting 13p back with every kWh you generate, even if you use that energy. Say you install solar panels – think about all the weekends your solar panels will be generating energy you’re not using? You can then export that energy to the grid at a rate of 5p per kWh, getting kickback while being environmentally responsible. The dream! One of the biggest ways we can influence our carbon footprint is through our food choices. Food waste is still a huge problem at all levels of the supply chain and all over the world. In offices, in-house canteens result in excessive food waste, as it is impossible to perfectly predict daily demand with such a model. Traditional on-demand delivery services, while surmounting the food waste problem at the end user level, don’t do much for food waste at the restaurant-level for the same reason. Feed your team with Feedr instead. A flexible online platform, Feedr gives your employees access to nutritious meals from London’s top eateries, and delivers to the office. The company was built with sustainability at its core. Because we operate a pre-order model, we’re able to eliminate food waste at the consumer level and drastically minimise food waste at the restaurant level, as our vendors can forecast demand more accurately for the day ahead. Plus, we operate a group delivery model. This means we bundle our orders to minimise the number of Feedr cars on the road and keep emissions low. To top it off, 80% of our vendors use 100% eco-friendly packaging which can either be recycled or biodegraded. Another great way to make your office more sustainable is by swapping traditional tea brands for eco-friendly ones like Clipper. Their tea bags are unbleached, and their teas are all organic and fairtrade.The perfect way to take your mid-morning cuppa to the next level! Etsy is a great example of a very environmentally-conscious business who is using some of these tips to drive their office sustainability. For example, they separate all their waste into several recycling streams, only use eco-friendly cleaning products, and use Feedr to keep their team happy and sustainably fed. They even get their meals served in two reusable metal tins, rather than recyclable packaging, so further minimise waste generated. To sum up, you don’t have to do several big things to make your office more sustainable. By making small changes and committing to them, you can use corporate social responsibility to boost employee wellbeing, company revenue, brand awareness, and help Mayor Sadiq Khan reach his target of making London the greenest city in the world by 2050. Interested in feeding your team while making a positive social and environmental impact? We’d love to hear from you! Drop us a line at [email protected], or call us directly on 0207 865 0482.